One strategic choice of Cosmetic Valley consists of unifying energies, expertise and ambitions in a win-win perspectives. Set up on its initiative, the brand new Cosmetics Clusters International Network – CCIN® has been launched by 18 founding members*, during the WICCS event. 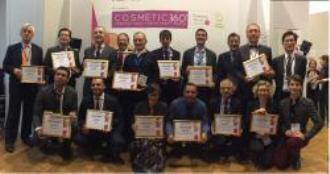 Cosmetic Valley entrusted the CCIN implementation to France Clusters, the French clusters network. Provide the CCIN members with animation, sharing and cooperation tools for fostering their development from both international (reach new markets) and national perspectives (strengthen cosmetics SMES network).